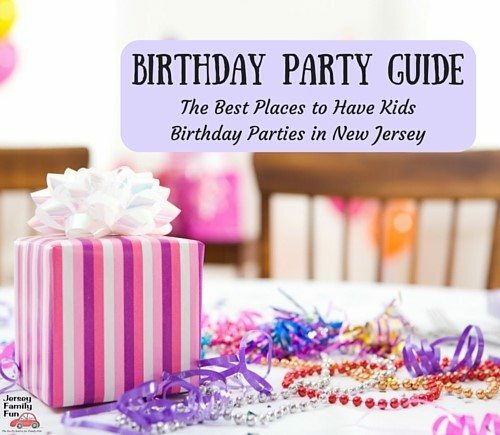 Jersey Family Fun wants to let our readers know about your family events in New Jersey, Philadelphia, and New York. Thank you for your interest in having your event listed on the Jersey Family Fun Calendar of Events. Every month, we reach over 750,000 families across our site and social media channels with information about fun things they can do with their families in New Jersey and the surrounding area. At this time, we are no longer offering the option for organizations to complimentary post their events directly to our calendar. The demand was too great for us to continue to offer that service for free. Moving forward we will be offering clients and organizations the options as listed below. Please take a look and feel free to get back in touch with me, Jerseyfamilyfunevents@gmail.com on the advertising option that works for you. Events on our calendar must be open to families with activities for children. Just having an event where children are allowed to attend does not meet our qualifications. These New Jersey events do not qualify for a complimentary listing. When you are ready to have your event listed on our calendar of events please contact us at jerseyfamilyfunevents@gmail.com and let us know which of the advertising options you are interested in. Complimentary listings are only promoted on this calendar and in some event listings. They are not included in any additional advertising services. Jersey Family Fun does not charge to list events that are $5 or less to attend per person or $20 or less per family. The event must be open to families and must offer activities for kids. There is a limit to 1 free event listings per month per organization. After that, we ask that you consider one of our advertising options below. Jersey Family Fun advertisers with contracts of 6 months or longer are provided with complimentary event listings regardless of the event admission fee. If you are interested in long-term advertising options with Jersey Family Fun, please contact Jennifer Auer at jenniferauer@jerseyfamilyfun.com. If you are a Jersey Family Fun advertiser, please use this option to submit your event. For those businesses that do not qualify for a complimentary listing, please contact us about our rates for a basic event listing with an IMAGE. This option does not include any additional advertising on our site or social media posts. This includes a basic event listing with an image. These upgraded basic listings include your event being shared across our social media channels for additional exposure. Your event will also stand out from the rest with a colored background. Our newest and what will certainly become the most popular option for businesses offering multiple family events in New Jersey. Have your family-friendly events with an image on the Jersey Family Fun Calendar regardless of their admission price. Benefit from nearly 100,000 families seeing your event each month. We’ll also provide you with your own unique url to your custom calendar of events on our site. Includes Featured Event Listing but without an Eblast. Instead our sponsored post/advertorials are promoted through at least 3 of our newsletters. Includes a 500-750 word SEO-optimized article/advertorial promoting your event with 3-5 photos and links back to the ticket site. If choosing a giveaway option, we will include an additional 5-7 social media mentions. 3-5 social media posts across our channels with links to the designated url of your choosing. Includes 3-5 social media posts across our channels with links to the designated url of your choosing. Listing will include a square image, 150 words, and a link to the ticket site. Includes a 500-750 word article/advertorial promoting your Philadelphia event with 3-5 photos and links back to the ticket site. If choosing a giveaway option, we will include an additional 5-7 social media mentions, promotion through our giveaway newsletter, and boosted social media posts targeted to our followers and their friends in your region. Social media promotion of your event. Includes social media messages on Facebook, Instagram, & Twitter to share details about your event to our followers. Contact us for fees. On site coverage of your event. Includes details and photos shared live on Facebook, Instagram, & Twitter and a post-event article with photo album created on Facebook. Contact us for fees. Giveaways – Giveaways are a service we provide. They bring exposure to your event across multiple social media channels. They are not payment for services Jersey Family Fun provides a client. We require a family four pack of tickets to your event for giveaways. Contact us for fees. Custom packages – We can tweet about your event or business regularly, reminding our readers about it through Facebook often, or host an ad on our site for it. Let us know what kind of exposure you need and we’ll create a package for you. Jersey Family Fun reserves the right to reject any event that is not appropriate for families. We will not refund payments for any event we do not list. To have your event advertised on our Calendar of Events, please call Jennifer at (609) 445-4159, email jerseyfamilyfunevents@gmail.com or use the contact form below. We look forward to sharing your event with our readers. Please use this form to contact us. We look forward to hearing from you. Please list the best phone number to contact you at with the area code listed first. Please list your email address. We love learning how others learned about Jersey Family Fun. Please tell us below how you came to know Jersey Family Fun. Please select the option you are contacting us about.